Mckenzie Lacroix: Lady Gaga & The Muppets' Holiday Spectacular!! 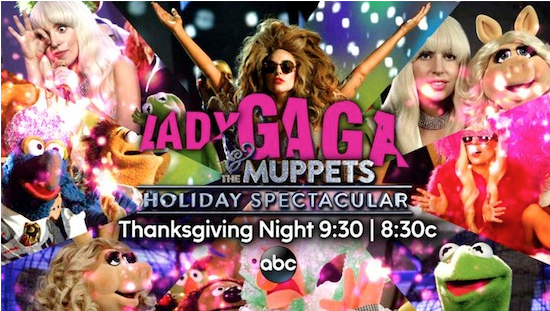 Lady Gaga & The Muppets' Holiday Spectacular!! Tune in to ABC at 9:30 EST Thanksgiving night!